Laid down, 23 November 1943, at Jeffersonville Boat and Machine Co., Jeffersonville, IN. 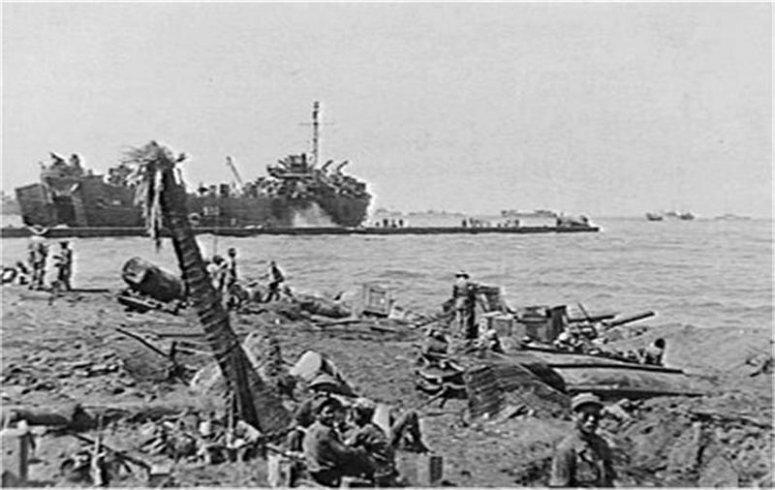 71k USS LST-530 beached at Lingka, Tarakan Island, Borneo, May 1945, while discharging stores onto a pontoon pier. The shell holes and shattered palms are evidence of the Allied bombardment. Australian War Memorial photo # 305124. Australian War Memorial Naval Historical Collection.